It is with pride and pleasure that we announce that the Desert Springs Resort has been awarded Andalucia’s Premier Tourism prize for 2017. This is the coveted and prestigious ‘Excellence in Management’ Award, the first of eight categories awarded by the Junta de Andalucía each year during the Andalucía Tourism Awards, recently held in Sevilla. 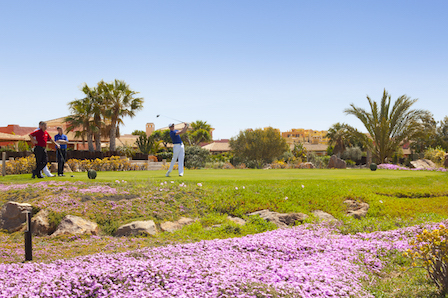 This award recognises The Desert Springs Family & Sports Resort, developed in Cuevas del Almanzora, as generating a positive touristic impact throughout the Levante Almeriense and the Almanzora region of Almeria and as the only desert resort & golf course in Europe thanks to efficient and innovative water management. 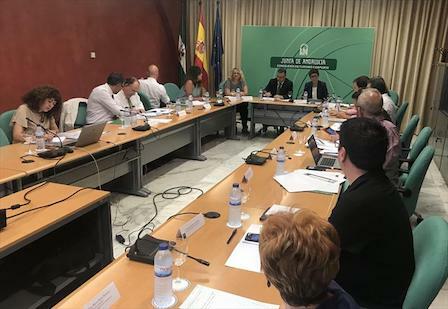 The awards committee, Chaired by the Deputy Minister for Tourism and Sports, Diego Ramos, is composed of the heads of Tourism and Sport for each of eight delegations, representing the Andalusian Confederation of Businessmen, the Federation of Women Entrepreneurs and the UGT-A and CCOO-A Unions, as well as prestigious personalities in the tourism sector. “This award generates a true sense of pride in the entire team at Desert Springs Resort. It recognises and confirms our unwavering commitment to the delivery of excellence on a daily basis through our service, our accommodation and food and beverage offer, our leisure and sports facilities; all provided for the enjoyment of our guests, residents and the general public. It is a part of our on-going development of quality tourism as a viable long-term alternative economy for the Almanzora region within Almeria. The awards presentation ceremony, which will take place on the 27th September, coinciding with World Tourism Day, consists of the presentation of a sculpture by an Andalusian artist and a Diploma of Accreditation.